Bride les Bains Tours. The ideal camp for spectacular and legendary passes such as the Col du Madeleine, Iseran or Cormt Roselend. The Tour de France and Le Dauphiné always pass by this beautiful spa town at the foot of the Trois Vallees. We can organise accommodation, airport transfers, guided rides or GPX / Garmin routes for your tour. We can also include access to the Thermal Spa as part of your stay. If you are looking to take your bike abroad, we are delighted to announce that we have partnered with www.sherpr.com to ensure that when you take your bike on one of our trips, or any trip for that matter, it arrives safely and is ready to race. We require a 30% per person deposit to secure any reservation for a Bride les Bains Tour. Please note that deposits are non-refundable. Brides-les-Bains is a commune in the Savoie department in the Auvergne-Rhône-Alpes region in south-eastern France. It was an Olympic Village for the 1992 Winter Olympics, based in Albertville, France. There is easy accessibility via Eurostar direct from London and there is a cable-car link direct to the ski slopes at Méribel, a major resort eight miles (13 km) away. 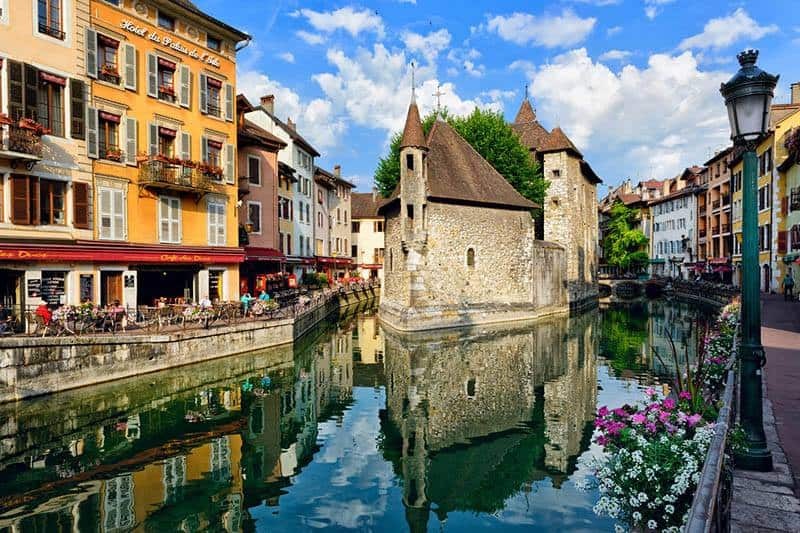 45 minutes from Chambéry, 1h 15 from Annecy and 2h 15 from Lyon: whether by car, plane, train, bus or taxi, follow these tips for an easy arrival in Brides-les-Bains. Local Road & Mountain Bike hire is available in Bride les Bains Tours. Full balance is required 10 weeks before the date of your Bride les Bains Tour.